Ballet is no longer just for little girls in pink tutus which is fantastic as nothing makes you feel more alive than the beautiful art of ballet. Adult Ballet is an ideal way to get fit because it works every muscle in the body from your fingers and stomach to your bottom and legs as it encompasses a mixture of technique, co-ordination & musicality. It is a fantastic way to get in shape, improve your flexibility, core strength & posture. Class commences with a fun cardiovascular warm up to get the blood pumping, then we progress to technical barre work & strengthening exercises, adage work to improve balance and just a little bit of allegro to get you jumping & working up a sweat. So if you want to have some fun, not take yourself too seriously, get a great workout & feel graceful all at the same time, then beginner adult ballet is for you! Tap is an energetic form of dance that is fun for all ages as it builds aerobic fitness & muscle control. It is characterised by using the sound of your tap shoes hitting the floor as a percussive instrument like drums to create rhythmic patterns and timely beats to the music. Class begins with a warm-up to stretch the muscles of the legs and feet, basic steps both stationary and travelling and short combinations to create different sounds and rhythms. A key ingredient of tap is balance, so it’s great for those looking to improve their posture. It is also a great workout for your mind as it is known to help ward off Alzheimer’s & Dementia so why not give it a go! What have you got to lose? Jazz Dance is an energetic dance form using a combination of different dance moves. From isolations to contractions, leaps, turns and kicks, it is dynamic and can take on many variations, including Pop, Funk, Lyrical, and Broadway. 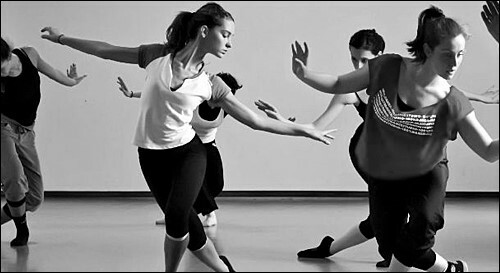 All jazz classes begin with a warm-up that develops strength, flexibility, coordination, and dance techniques specific to jazz dance. You will learn travelling steps, centre work, a combination and conclude with a cool down and stretch.